From time to time we come across products that are simply not for everybody. Today’s example is the LG 47LM960V, a high-end TV that targets people who settle with nothing but the best and are prepared to pay for it so, if you don’t know what the word “compromise” means, this deal is for you. We’ll be short and to the point: 47-inch Full HD NANO LED display, 3D, SMART features and an MCI of 1000HZ – all these for a price tag of £1499.96. 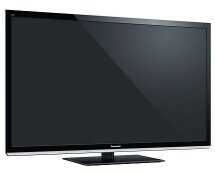 Buy it now from appliancesdirect.co.uk. 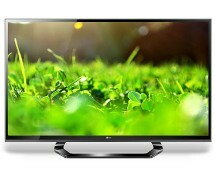 LG 47LM960V Review – Is This What Perfection Looks Like? Working with electronics all day makes us a bit hard to impress so believe us when we say that the LG 47LM960V is one impressive piece of technology. We don’t usually praise a product without having some serious reasons to do so but we can’t help it this time because this TV ticks all the boxes when it comes to design, performance and features. Let’s get a bit into the details and show you what we mean. It all starts with the design, a chapter where the 47LM960V dominates the market with a very imposing look given by its gigantic display surrounded by an insanely slim frame that makes the screen look even bigger than it really is. Instead of a classical stand the TV comes with two chromed legs that add a bit of aggressiveness to its overall appearance. The end result is a mix of well-dozed fragility, one measure of aggressiveness and an overdose of awesomeness. There’s literally nothing to hold against the LG 47LM960V when it comes to image quality, as everything we tested looked simply perfect. 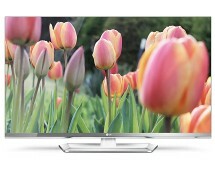 The explanation is simple: the TV comes with NANO LED full backlighting for maximum uniformity, unbelievable image contrasts and a motion clarity index of 1000Hz – one of the highest values we’ve seen so far. In case you’re not so tech-savvy let us detail this section a bit; instead of using classical cold cathode fluorescent lamps or led strips placed on the edges of the display to lit the screen, the LG 47LM960V comes with NANO LEDs that are placed directly behind the screen for the best possible lighting. When it comes to 3D it’s time to forget about cinemas because the LG 47LM960V offers you first row seats right from your living room. 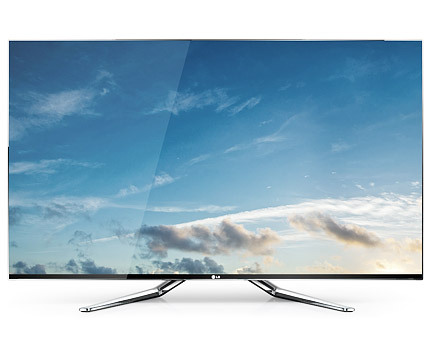 LG never let us down with its passive 3D technology and the LG 47LM960V is no exception, the 47-inch display paired with the powerful Triple XD image processor, NANO LEDs and the 1000Hz MCI being one of the best possible combinations you can find. The 3D experience was sublime and we really felt like we were right in the middle of the action. Part of the merit for these results also goes to the high-fidelity sound system that, besides the normal speakers you find in most TVs, also includes a subwoofer. Of course, you’ll still have to use an external audio system if you want the ultimate audio performance to match the images but the integrated speakers are more than decent if you take the slimness of the TV into consideration. 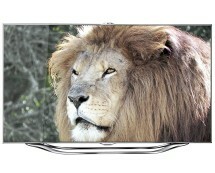 Many TVs nowadays pride with the title of SMART TVs but just how smart are they if you take the SMART features aside? The LG 47LM960V is a winner at this chapter, being one of the most intuitive and easy to use TVs out there, despite the fact that it has one of the most sophisticated menu systems you can find in a TV. We were able to customize even the tiniest details pertaining to image or sound and every setting felt to be just in the right section; menus are logically organized and easy to follow so that you don’t come across complex geeky settings when all you want to do is adjust the brightness; if, on the other hand, you want to access the geeky settings, you won’t have a hard time finding them. The other SMART side of the LG 47LM960V is also smartly designed to be as intuitive and easy to use as possible, offering you an amazing Internet browsing experience. Applications, media streaming services and social networks are well organized and, with the help of the included Magic Remote, browsing the Internet was a blast. If nothing says “premium” better than a rich bundle package, the LG 47LM960V is as premium as it can get. The TV comes with 4 pairs of 3D glasses included, 2 pairs of Dual Play glasses included, a pair of clip-on glasses and LG’s Magic Remote included in the box so you can use the TV to its full potential right from the start. We won’t draw a final conclusion about the LG 47LM960V because we feel that the review pretty much says it all. What do you think?